Looking for stylishly romantic wedding hairstyles for long hair that won’t take you hours to create? Then you’re in luck. Because thanks to the versatility of your lengthy locks, there are plenty of simple yet stunning looks that won’t fail to impress your groom and guests. And the best part? You won’t even need a professional stylist to help achieve them! Ahead, we round up 4 super pretty wedding hairstyles for long hair that anyone can do, so keep reading to discover what they are, now. The perfect look for a bride who wants her hairstyle to exude elegance and glamour, these red carpet-inspired, side-swept waves also happen to be one of the easiest wedding hairstyles for long hair you’ll come across. Don’t forget to pair your tumbling waves with gorgeous drop earrings or fiercely romantic earcuffs for an ultra sophisticated look. To create this hairstyle, wash your hair and allow to air-dry until just damp. To help tame frizz and to protect your tresses from extreme heat, apply some VO5 Smoothly Does It Heat Protect Spray prior to styling. Blowdry your hair on a low setting (this will also help eliminate any unwanted frizz) until it’s completely dry, and divide your hair into 2-inch sections. Curl each section using a curling wand (remembering to curl all the sections in the same direction for a uniformed look). Once done, use a hairbrush to gently brush out the curls and transform them into beautiful, undulating waves. To finish, sweep your hair to one side, fixing it with bobby pins near the nape of your neck to ensure it stays put. 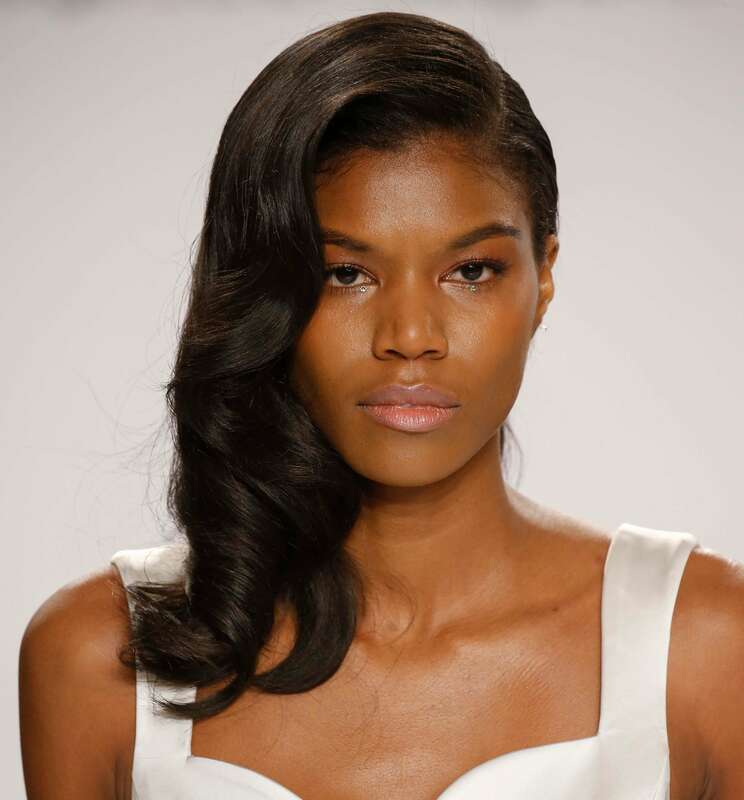 Then spritz with TRESemmé Runway Collection Make Waves Creation Hairspray for a strong but touchable hold. These soft, flowing waves, finished with a pretty embellished headband, is the perfect option for those who want a feminine hairstyle that doesn’t look too polished. It’s a beautiful and romantic look, laced with a cool boho attitude. All you need to do is lightly curl your hair with a curling wand to create loose waves. The same method for the tumbling waves hairstyle (above) can be used here, too. Only you’ll want to make the waves less uniform by curling in different directions and start from the middle of the hair shaft, rather than near the roots. Spritz some hairspray, followed by TIGI Bed Head Headrush to help boost shine for an high gloss finish, before placing your embellished headband where you want it to sit. Wedding hairstyles for long hair don’t always have to be about soft, romantic waves; you can create a bold and contemporary look by keeping it super sleek and straight, instead. The ideal accompaniment to a more modern style dress or a sassy after-party outfit, this sleek, glossy hairdo looks simple, yet packs a punch. Use the TRESemmé Runway Collection Get Sleek Protect & Polish Duo Mist in conjunction with a straightener to help achieve ultra polished, frizz-free results with maximum shine. Now that’s what we call a 21st century wedding hairstyle! A messy fishtail braid exudes ethereal elegance. 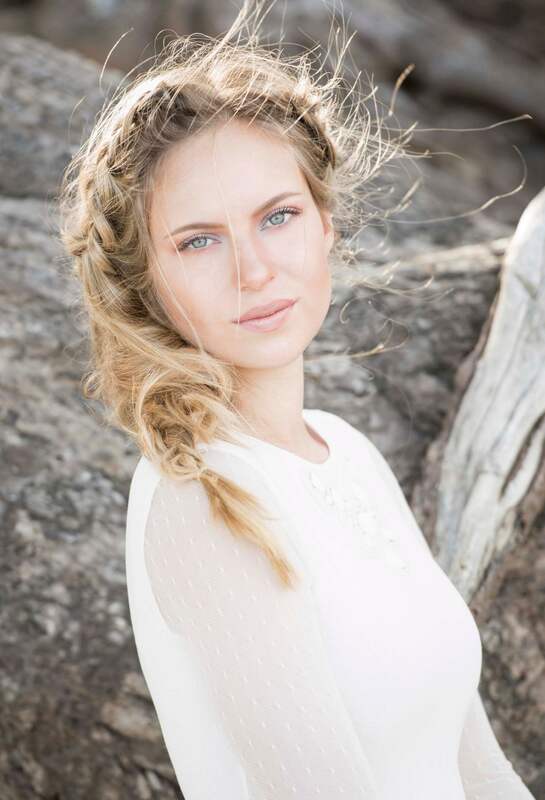 Fishtail braids are a simple, yet stunning style-fix, and they also make brilliant wedding hairstyles for long hair. For a more whimsical outcome, try a braid with a deep side parting, and create extra volume and body through the braid by gently teasing out the weaves once done. And don’t worry about any strayed strands or flyaways, they’re all part of the ethereal charm of these fishtail braids with a twist! Editor’s tip: To ensure the braid stays intact for long as possible, spritz some Toni&Guy Glamour Firm Hold Hairspray to finish at the end. Easy-peasy! Enjoyed these wedding perfect looks? Great! Then don’t forget to spend a little time on our Wedding Hairstyles page too, where you can find looks like these 4 bridal styles ideal for a Spring wedding! Dreadlocks: Instagram and celebrity-approved hair inspiration and much, much more! Did you see Naomi Campbell's hair for ES magazine?